This Is Your Captain Speaking: Would You Get on a Plane With No Pilots? Would You Get on a Plane With No Pilots? Facing potential shortages of airline pilots and dramatic advances in automation, industry and government researchers have begun the most serious look yet at the idea of enabling jetliners to be flown by a single pilot. All large commercial jets for passenger and cargo service world-wide now fly with at least two pilots in the cockpit. A new study by the National Aeronautics and Space Administration and Rockwell Collins Inc. will focus on the provocative idea that co-pilots could remain on the ground, remotely assisting solo aviators on the flight deck during the busiest parts of flights, said John Borghese, Rockwell’s vice president of its Advanced Technology Center. Actually, it wouldn't be quite fair to call the remaining human being on a single place airliner a pilot at all, for his required skill set would almost certainly not include the "stick and rudder" skills of today's pilots. The remaining person would be a systems manager, overseeing the computers which would do the actual flying. There are actually very good reasons why you would not want a very bored and very rusty pilot just sitting up in the cockpit waiting for something to go wrong so he could grab the controls to save the day. For starters, humans are uniquely unqualified and unsuited to sit around to watch and monitor machines. Most humans have an attention span of perhaps 20 minutes before the mind starts to wander. This type of arrangement is quite nearly the reverse of the ideal human-machine interface. Secondly, piloting, or "stick and rudder" skills take years to acquire and need to be maintained with routine practice. Neither of these conditions will be available in the cockpits of the future. Heck, they are hardly even available today! We are currently coasting on a slowly draining reservoir of pilot skills attained in the years before automation became pervasive. Pilots entering the profession today get rudimentary training before graduating to their first commuter airline job which will be in a glass cockpit with automation. These "children of the magenta line" (a reference to the electronic magenta line on the course display) will never develop the piloting skills their forbears recognized as their stock and trade. This concept of in-flight computer system operators was demonstrated succinctly last year by the crash in San Francisco of an Asiana 777 on a clear and calm day. The "pilots" aboard that aircraft had many thousands of hours of flight time safely operating jumbo aircraft across the ocean with many hundreds of passengers. Unfortunately, they didn't know how to actually "fly" the plane when they needed to and they'd been doing it that way for years. The big mistake made by the managers at Asiana was of getting ahead of the current state of the art. The automation deployed on the current generation of commercial aircraft is good, but it was never designed to be all encompassing. That is, on occasion a pilot may actually still be needed to fly the airplane the way the Wright brothers did. Now please don't misunderstand me. I am no Luddite arguing against the eventual denouement of my profession. The piloting profession as it been constituted since Kitty Hawk is in decline and no amount of feather-bedding will change that. And this is most likely a good thing. Commercial air travel is now safer than it has ever been and has levels of safety which are probably rivalled only by the elevator. Automation has played a large part in this. But like the elevator, the nature of commercial aviation is going to change and drastically so. The question is not where the profession is headed, but rather how to safely get there. As automation becomes more robust, the need for piloting skills will diminish on a gradual level. The challenge will be how to bridge this ebbing of piloting skills with the gradual increase in the capabilities of automation until such time that pilots are not needed nor desired. Under the concept the researchers are studying, aviators on the ground could be assigned to assist solo cockpit pilots on multiple flights, virtually co-piloting during the busiest times through crowded airspace, approach-and-landing maneuvers, or if something goes wrong. “It’s a reasonably new area” to study how the notion may apply to large jets, according to Parimal Kopardekar, the program’s manager based at NASA’s Ames Research Center in northern California. When pilots need a midair rest or bathroom break, those on the ground even may “need to baby-sit the vehicle,” he said. Such a dramatic shift won’t happen any time soon, and there is virtual consensus that reduced crews for passenger planes won’t be considered until they are introduced first in the cargo arena. That is unlikely to gain traction much before the end of the next decade, according to experts and airline officials. Jets today are designed to have two pilots behind the controls, and retrofitting existing aircraft “may be too expensive and may be too difficult” to obtain regulatory approval, according to NASA’s Mr. Kopardekar. Industry officials say all-new aircraft would be needed with cockpits designed from the start with a single pilot in mind. It is an open secret that Fred Smith, FedEx founder and CEO has at the top of his bucket list the firing of at least half, if not all his pilots. And there is little doubt that the first single piloted commercial aircraft will be a freighter. Other than that, it is highly unlikely that there will be any single piloted commercial aircraft for at least the next few decades. Boeing's latest generation technology, the 787 Dreamliner and the forthcoming 737 Max aircraft have all been designed for two pilots as have the latest offerings from Airbus. Given the average technology cycle of about 20 years between major upgrades, only the aircraft introduced to replace these new generation aircraft are likely to be designed for single pilot operations. So while the change may take a few decades, most experts view it as inevitable. Also necessary for this change will be a wholesale cultural shift in public opinion towards automation. This shift is already underway. A century ago, it might have been unthinkable for any man on the street to consider getting on a train that didn't have an engineer. Now we routinely board completely automated trains taking us to our airline gates. Likewise, luxury cars are already coming equipped with automatic lane-keeping alert and sudden stop warning systems. Google's driverless cars are already combing the countryside, recording all they see for Google maps. When cars which can parallel park themselves become ubiquitous, a skill many drivers never master, highly automated aircraft overseen by a systems engineer will not seem so far fetched. You say 20 years 'till the next generation airliners, designed for single pilots, start replacing current airliners. NASA and Rockwell put it closer to 15 years to single-pilot ops, presumably with current-gen airliners. 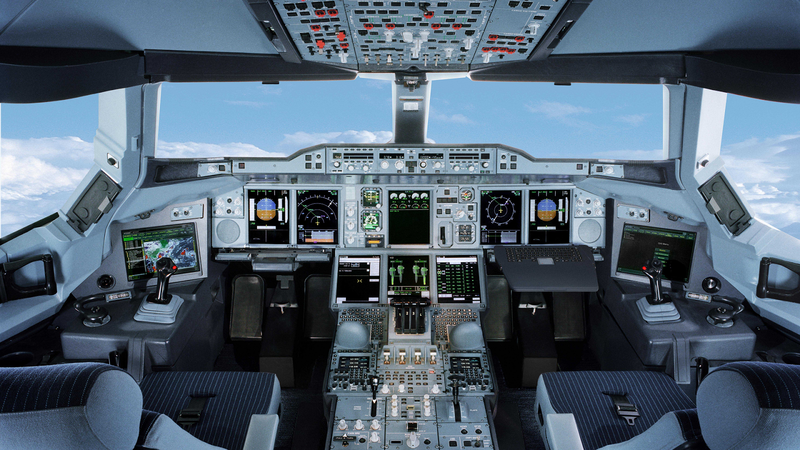 The newer airliners may already have provisions for single-pilot and remote pilot backup. What would you tell a 20-year-old who is looking at investing heavily in a 45+ year career? In 15 or 20 years, he or she would be a long way from earning the good money and decent lifestyle of a senior captain, and that is when the bottom likely will fall out of this career. The job isn't very inviting now, and is likely to be obsolete long before anyone entering today will reap the rewards of their investments and sacrifices. When you mention "Crossing the bridge", I think of the bridge between now and the day we have full automation, how will the airline and air-cargo and corporate air industries survive that long without nearly enough pilots? How will the economy, that is heavily dependent on aviation, thrive? I estimated 20 years because that is close to the current technology cycle to introduce new aircraft. The 777 was introduced in 1995 and the 787 in 2014. The article mentioned that it wouldn't be until the end of the next decade until single pilot ops are considered at cargo airlines and many years after that for passenger carriers. My advice would be it depends on how badly you want to be in the air. There is and will continue to be a severe pilot shortage in the near term so those who put in the time to get their ratings today will have plenty of work. Wages should also be going up as the shortage continues. The question is one of long term job growth. In 20 years, if automation replaces pilots, there could be job stagnation. It will be a risk for those just getting into the field but for the near term the outlook is good. Thanks Captain, I'm not concerned about my future, but the future of the U.S. aviation industry and economy. As you point out, we are already in a pilot shortage. The major airlines are hiring around 3000 pilots/year, mostly from the regional and low-cost airlines. The regional and low-cost airlines are finding few new pilots, as there are very few Americans in flight training today. Boeing and ALPA say the industry will need around 4500 pilots/year, and there are only hundreds/year coming out of training, and that number is dropping. The 16,000 pilots at regional airlines, who fly over half the nations airline flights, will be gone to the major airlines quickly. Kit Darby says only one in ten entrants make it through commercial flight training, so we need an immediate increase of at least 45,000 additional young Americans entering flight school, to have them available in six or eight years. The expectation that this career will be much less in demand in 15 to 20 years doesn't bode well for attracting more young people than has ever entered flight training in a year, and more than the system can possibly take in. Europe has approved MPL pilots to take over right-seat duties, these are minimally trained pilots, specifically trained for one airline on their procedures and policies. They train cheap and work cheap, and don't gain flight hours they can use to get a better pilot job. They will probably be approved within a year for the U.S., effectively giving us single-pilot operations much sooner than 15 to 20 years. It would certainly solve the pilot shortage and keep the industry going, but could put pilots out of work. I'm not sure who would become an MPL pilot, it is expensive and a dead-end. Perhaps the FAA will make their hours loggable to attract young people. We are headed for some serious problems, and we need some serious answers. People like you with positions on the right rooftops need to begin shouting an alarm, before it is too late, although it might already be too late. Agreed! There are some serious problems ahead in the industry re manning. I also agree that automation and single pilot ops will not be ready to help for many years. Perhaps airlines will need to take another look at ab initio programs which take talented high school grads through a two year program. No one really needs a college degree to fly an airplane. A friend of mine recently retired from Spicejet in India which used a program of experienced ex-pats in the left seat assisted by young inexperienced f/os. The first officers barely flew but were there to assist. Perhaps this might work. You're correct that the problem needs to be addressed sooner rather than later. In the meantime, cities will lose frequency, service, and ticket prices will go up. This Job Can Kill You!